The Truman Library and Museum in Independence is the last stop in the U.S. for Pulitzer Prize photographs before they leave the country. There are 139 photographs on display at the Truman Library and Museum, and Missourians have one more week to view them before the exhibition travels to Korea. Museum Curator Clay Bauske says people who view the photos are immediately taken back to the moment when history was made. Bauske says the Iwo Jima photo holds a special significance for the Truman Library because the model for the sculpture is part of the museum’s collection. The photos span from 1942 to present day. The exhibition takes viewers not only through time, but through tragedy as well as celebration all over the world. 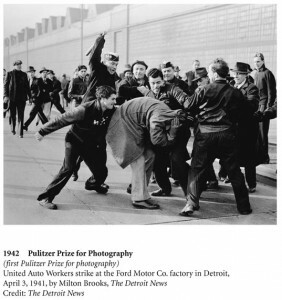 The exhibition begins with the first Pulitzer Prize photograph: “Battle on the Picket Lines,” by Pete Brooks with the Detroit News. The photo captures “the fury and the power” of breaking a picket line. There 139 exhibition goes to Korea next. The exhibit is at the Truman Library for one more week. 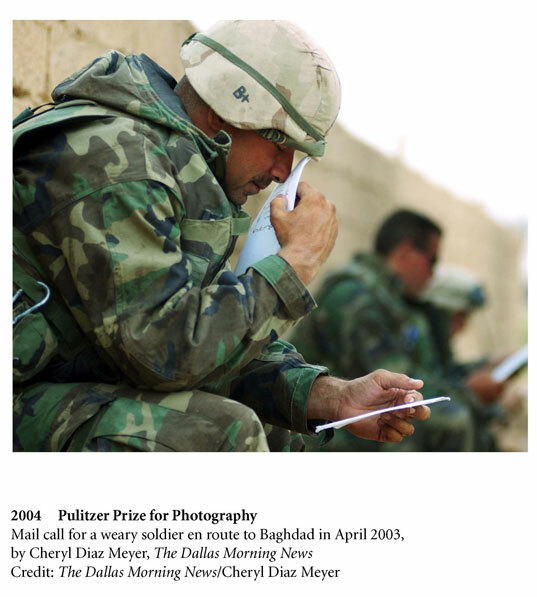 The Pulitzer Prizes are journalism’s most prestigious award. Each photo is accompanied by a brief description of the event, as well as a desciptive about their feelings on the photo. The Pulitzer Prizes, first awarded in 1917, were the inspiration of newspaper publisher Joseph Pulitzer. The prize for newspaper photography was first awarded in 1942. 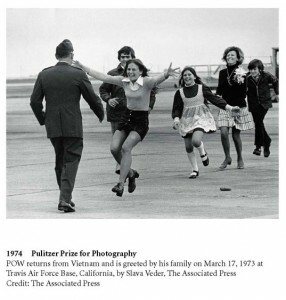 Since 1968, two prizes – one for breaking-news photography and one for feature photography – have been awarded each year. For more, and to view more photos from the exhibition, visit http://www.trumanlibrary.org/pulitzer/.